The regular (alternate month) Wine Tour at Lidl begins today with 30 wines from all over Europe to excite and tempt – especially so for folk on tight budgets. Prices for still wines range from £4.99 to £7.99 although there is a presentable, but not exceptional, Premier Cru champagne at £14.99. I have singled out nine of the whites and reds that, for me, are the pick of the bunch. Enjoy, too, our usual Sunset Corner and Best of the Rest features and a Top Tip about “the next big white from New Zealand”. My top choice from the last Lidl Wine Tour was a pinot blanc and many of you told me how much you enjoyed it so this white from Alsace may tickle those taste buds too; it is a 50:50 blend with pinot gris. Zippiness in 2017 Tete à Tete Pinot Blanc Pinot Gris (£7.99 at Lidl and13% abv) comes in the form of lime and grapefruit acidity which gracefully supports the wine’s soft greengage and apple fruit and adroitly balanced texture. rnly in 2004 did Costières de Nîmes formally became part of the Rhone wine region but this blend is so typically Rhone (80% of it is either roussanne, white grenache of marsanne) that Nîmes spiritual home can, surely, never have been in doubt. Relish the neat combination of savoury mellowness and sharp acidity in 2017 Colnem Costières de Nîmes (£5.99 and 12.5%) that works so well with the quince and pear fruit and just a hint of sweetness – perhaps from the whisper of viognier in the mix. Verdejo from Rueda – north west of Madrid – can stray over the line from savouriness to bitterness to my taste but this is such a well balanced and fantastic value version that it only narrowly missed the Magic Bullet accolade. Saline hints do surface in 2017 La Bien Pintá Rueda (£5.99 and 12.5%) but they are more of a condiment than an ingredient and are fully offset by the wine’s pear and ripe peach fruit and lively acidity. I praised an earlier vintage of this delightful Austrian white (from the banks of the Danube) in Lidl’s January 2018 Wine Tour so it is great to see a return visit – and at an especially keen price. Soft but with a vaguely mineral finish, 2018 Domäne Wachau Grüner Veltliner Terraces (£7.49 and 12%) brings us textured apple fruit, freshness and a hint of spice to add complexity and style. And so to the reds. Historically, climate and altitude gave wines from Ventoux less depth than reds from other parts of the Southern Rhone but there is no lack of substance here even though cinsault is used (rather than the more rugged mourvedre) to partner grenache and syrah. Soft and textured 2017 Ventoux Marquis de Cazalet (£5.99 and 13%) has smooth plum and bramble fruit, limited tannin, good acidity and clove centred texture. Largely granite based, Portugal’s Dao region is inland, about midway between Porto and Lisbon and produces increasingly tasty reds like this blend of touriga nacional and tempranillo (called aragones hereabouts) with a local grape –alfrocheiro. 2016 Torre de Ferro Dão Reserva (£6.99 and 13.5%) has rounded but bright strawberry and red plum fruit with firm tannin and sweet edged touches of vanilla and cinnamon. Jumilla – a region in south western Spain and not far from the Mediterranean – used to be a source of pretty ordinary “jug” wine. However, the disaster of a phylloxera epidemic in the Eighties provided the springboard for massive replanting and a big increase in quality – as this example testifies. Floral and ripe, the monastrell based 2017 Gamellón Roble (£6.99 and 14.5%) has aniseed influenced cherry and blackberry fruit with soft tannin but good acidity and a hint of sweetness. Being Tuscan, the 70% sangiovese component in this substantial red will surprise no one but, here, that variety is successfully blended with 20% merlot and 10% cabernet. Smooth cherry and red plum fruit lead the way in 2016 Toscana Duca di Sasseta (£6.99 and 14%) but that is neatly balanced by floral freshness, firm tannin and a suggestion of clove. We have talked a bit about the furmint grape in recent weeks and here is an excellent and well priced version of the quality sweet wine it produces – aided and abetted this time by the spicy harslevelu and the pleasantly soft koverszolo. That blend gives real complexity and poise to 2016 Tokaji Szamorodni Béres (£6.99 and 11%) where bright (but unmistakably sweet) apple and tangerine fruit is kept light and fresh by well balanced acidity. Branded wines do not feature that regularly on this site as many lack the depth that I normally consider essential to secure a recommendation but this red has compensating charms – and is currently at a great price. 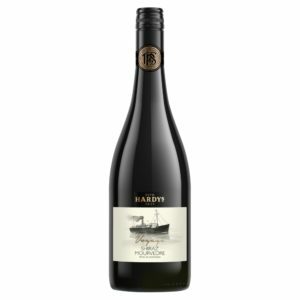 Despite its relatively light body, 2018 Hardy's Voyage Shiraz Mourvedre (£5.25 – instead of £7.25 until 23 April – at the Co-op and13.5%) does have a degree of texture to bolster its cherry and loganberry fruit, good acidity, firm tannin and suggestions of mint, chocolate and cinnamon. 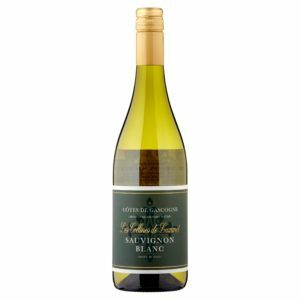 Here is the first of the 2018 Northern Hemisphere wines to be featured here and it is an impressive sauvignon blanc from South Western France – which, best of all, is on offer at present. 2018 Les Collines de Luzanet Sauvignon Blanc (£5.99 – instead of £7.99 until 9 April – at Waitrose and 11.5%) has a surprisingly savoury, grassy and herbal backbone which integrates well with its lime and grapefruit acidity, melon centred texture, touches of green pepper and long finish. Quite a few promotions at present are tailored to Mothers’ Day on Sunday and, to emphasis the point, discounts on these bubbles at the Co-op do indeed come to an abrupt end on Tuesday. Tip: Get ahead of the curve with the “next big thing” among New Zealand white wines. Just as our love affairs with chardonnay (and, light years ago, German riesling) did eventually fade, so sales of Marlborough sauvignon blanc will surely peak soon. However, we may not need to shift our geographic focus much to latch onto a potential successor. For some time trendy wine bars in Auckland have been championing pinot gris and I rather fancy we should do the same. First things first, though, this is the same grape that brings us the popular white from Central Italy labelled as pinot grigio. However, the resemblance ends there. While pinot grigio is ripe, floral and – usually – undemanding, most pinot gris sets out not only to be very different but also tantalisingly complex. That is true whether it is produced in Alsace (where it forms part of the blend in Today’s Magic Bullet selection) or 11000 miles away in New Zealand. Pinot gris winemakers tend to aim for a result that is richer, more perfumed and, often, sweeter than conventional pinot grigio. Differences between the regions where they grow and, usually, in harvest times also mean that pinot gris normally has more acidity than wine labelled as pinot grigio. I spent an hour or so at the recent Flavours of New Zealand tasting sampling all the pinot gris on display – and here are versions that float my boat. Top of the shop for me was the soft and mature (yet fresh) 2016 Greywacke Marlborough Pinot Gris with all the ripe melon fruit and sweet edged depth induced by Kevin Judd’s inspired winemaking. Annoyingly, I am not the only one in raptures about this wine as the main retailer here, The Wine Society, have now sold out but, across the Irish Sea, www. wineonline.ie still seem to have some. 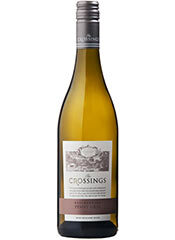 Still available though is the excellent 2017 The Crossings Pinot Gris Awatere Valley (£11.75 at Booths and 13%) with its apple centred depth, fresh lemon acidity and hint of spice. Moving further south to the Waipara Valley, apple depth also plays a part in the tasty 2016 Mount Brown Pinot Gris (£13.95 at Davey’s Wine Merchants and 13.5%) which supplements that element with neat touches of peach, greengage and honey. Back up in the Awatere Valley, I was very impressed by examples from the te Pa operation (which uses some barrel fermentation to secure extra richness). 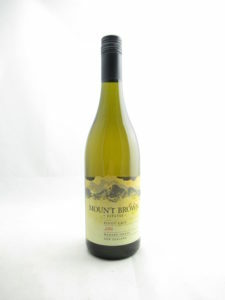 Although their 2018 Pinot Gris was beautifully fresh and floral yet nicely textured, it will not be here until later in the year but the previous vintage – the honey influenced 2017 te Pa Pinot Gris (£13.50 a bottle at Amazon and 13.5%) is still available and delivers a neat combination of pear centred richness and firm acidity. If any of you are (perish the thought) not fully convinced yet, I can offer you a “toe in the water” option. While not rising the levels of sophistication of today’s other choices, Gisborne’s, 2018 Freeman’s Bay Pinot Gris (£5.99 at Aldi and 13%) has enough melon, grapefruit and greengage fruit to give a sense of what it is all about – even though this example does have dashes of chardonnay and gewürztraminer. Excellent article, and couldn’t agree more about Pinot Gris – which I love. I always think that a Pinot Gris has a certain ”oily” feel, which is typically lacking in the majority of innocuous Pinot Grigio. Although I did once try a lovely expensive Pinot Grigio in a tasting and wondered why they did not label it Pinot Gris? However my experience is that not all people who readily drink Pinot Grigio actually immediately take to a “better” Pinot Gris! So I always put that caveat when encouraging them to “trade up”. Thanks Richard. It’s a good point you make about “managing expectation” when you encourage pinot grigio fans to try pinot gris. I also share your difficulty in finding the right adjective to describe the extra weight of pinot gris (or viognier and semillon for that matter). Viscous and oily sound negative while textured and “lanolin style” never seem quite adequate.